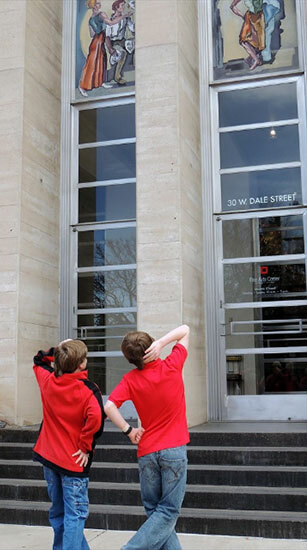 Integrate art and learning in a memorable field trip to the FAC museum. Our galleries showcases art of the Americas – from historic Native and Southwest cultures, to exciting Contemporary art, to our unique, hands-on Tactile Gallery. The museum also features a changing roster of special exhibitions (click here to see a full schedule). Choose from a variety of tours incorporating Colorado Standards-Based Curriculum led by trained Tour Leaders. Social and interactive learning opens students to new ways of seeing, exploring, and making sense of our world! We believe that by fostering visitor engagement with art, museums can engender curiosity and build capacity for understanding ourselves and the world. Based on this philosophy, our new gallery tour program presents an innovative program of arts education through exploration and understanding of the latest ideas in arts teaching and interdisciplinary learning. 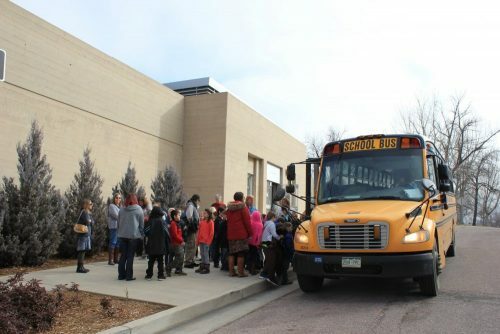 All tours address Colorado and Common Core Standards. Construct their own meanings about art, provide evidence to back up inferences, and share ideas with their peers. Look closely at art, think deeply, develop and use vocabulary to appreciate art found in all aspects of their lives. Build discussion skills by supporting their claims with visual evidence, while listening to and considering the views of their peers. Consider new ideas and appreciate diverse perspectives that reflect our 21st Century visually-oriented society. Note: All morning tours are 90 minutes long. Venture into the collections and exhibitions of the FAC museum with an interactive gallery tour. Adapted for any age level, this tour emphasizes visual literacy skills, including art vocabulary (elements and principles) so that students learn how to read and find meaning in imagery, allowing them to better understand our 21st century, visually-orientated society. Students will discover a diversity of cultures and ideas, making connections to themselves, others, and the broader world. Teachers can request curricular ties be made. This FREE tour is adapted for all grade levels. Essential Question: How does an artist’s use of color, line, shape, form and texture affect what we see and think about the art? This two-part tour spends time in the galleries, then investigates hands-on materials, in order to explore artworks made by people from diverse living cultures of the region including Pueblo, Navajo, Plains, Ute, Spanish, and Nuevomexicano. Students are invited to discuss the intercultural exchange shown through art with historical and cultural backgrounds in mind. Guided conversations support students’ understanding of artistic traditions and the role of art in society. This FREE tour is available for grades 3-8. Write poetry inspired by art! This unique tour joins the visual arts with language arts. Tour Leaders will guide an in-depth tour through the FAC museum galleries, discuss the art, and provide writing prompts for students to use in expressing their responses. Expand your students’ ability to look, communicate, and respond in writing to what they see utilizing a variety of poetic forms and structures. This FREE tour is available for grades 3 and up. Essential Question: How does art connect with and inspire the written word? Experience a rare, behind-the-scenes look at our historic 400-seat theater and production spaces. Visit the prop, scenic and costume shops, where we make almost all of the elements you see in our stage productions. Go backstage (and even under the stage) to learn about the theater’s rigging and fly systems. Tours also include elements of theatre and architectural history. This tour is available for grades 3 and up at $4 per student. – School tours can be scheduled Tuesday – Friday and are subject to availability. – Tours are for 10-60 students. Larger groups may take additional time to schedule. – Every 10 students must be accompanied by 1 adult chaperone. – Morning tours start at 10 a.m. and last 90 minutes. – Afternoon tours are scheduled by request and last 60 minutes. – Theatre tours last 60 minutes. Requests must be submitted two weeks in advance of the requested tour date.